We hadn't gone very much further when I came around a bend and saw Craig looking at a dark lump on the ground. I thought he had lost his tail bag. 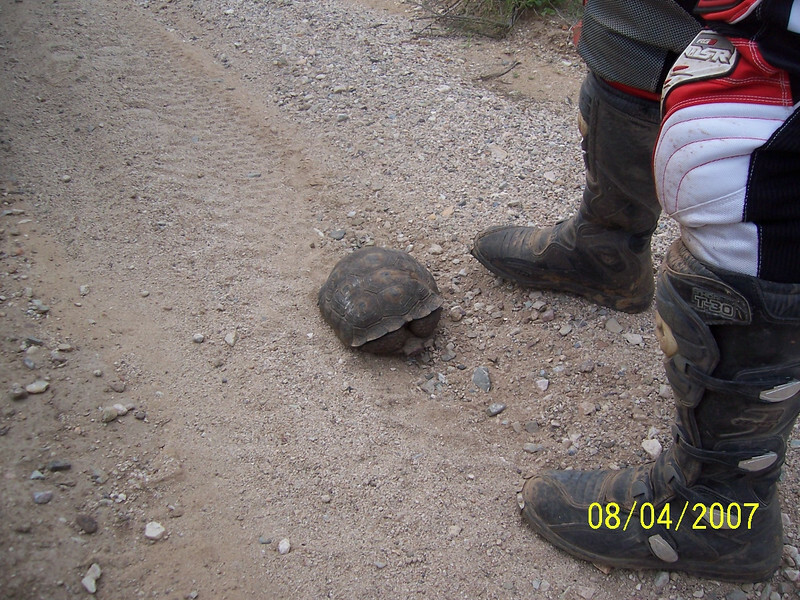 It was actually a Desert Tortoise in the middle of the trail.